Wire Mesh Decking - Warehouse Solutions, Inc. 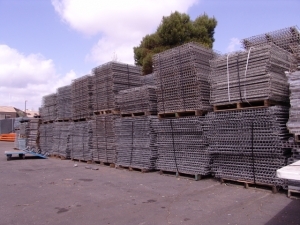 Warehouse Solutions Inc. has the largest inventory and best prices on Wire Mesh Decking in Southern California. Wire Decking is a great surface to store your products on. 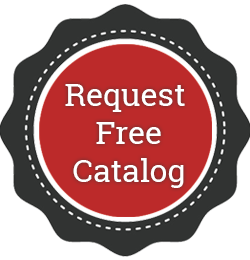 Wire Decks come in a variety of different sizes and styles and can even be custom built to suite your specific needs. There are many benefits using a wire mesh decking over the other forms of decking. For starters they are easy to install. Simply pick up your wire deck and place it on top of your pallet racking beams. They lock into place and you’re ready to start loading them up. Another great thing about wire decking is that you can easily see through the deck and inspect your inventory. Because the decks are open you have a better circulation of air flow and there’s less surface area to gather dust. A big reason for using wire decking is for meeting the OSHA and local fire code standards. Many cities and towns are moving towards only approving wire decks for fire code standards. Many shelving surfaces are made of wood – planks, pressboard, etc. and can be very dangerous if a fire breaks out in the warehouse. Not only will the wood burn but your product will too. By using wire decks you increase your overhead sprinkler effectiveness and could save a lot of your product. There are a few factors that make your wire decking right for your job. One of the biggest factor is knowing how much weight you are going to be placing on the surface. There are many different capacity ratings for the many different wire mesh decking manufacturers. There are several factors in determining the safety of your decking such as: the gauge and quality of the steel, how they are made, how they are finished, the spacing of the wire, the types of support channels, how many support channels and how the weight is going to be distributed on that surface. There are super light duty wire decks that support less than 1000 pounds and super heavy duty wire decks that can support just under 4000 pounds. 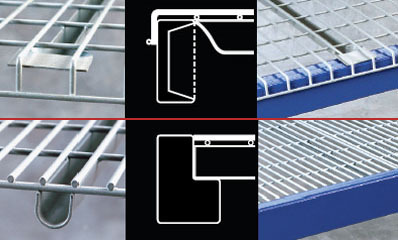 Most of your wire decks come with some form of a support channels on the underside of the decking. This helps add to the overall strength of the surface. You might be able to use a super light duty today but as your company grows, so does your storage needs and those decks might not handle your expansion. Your best bet is to speak to one of our Warehouse Solutions Inc. Sales Engineers and let them show you the best solution for your decking needs.